used by the Church of England, the common worship books effectively guide attendees though the services with clarity and poignancy. A separate booklet including the text of the Morning and Evening Prayer services in traditional language that are taken from the Book of Common Prayer. It also includes the Litany from the BCP, a selection of prayers from the BCP and Canticles from the BCP. 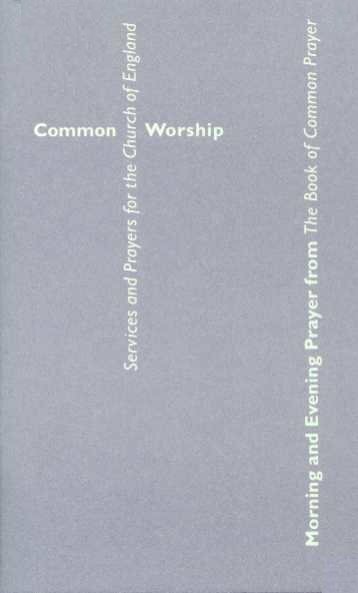 Common Worship: Morning and Evening Prayer from the Book of Common Prayer by Church House Publishing was published by Church House in November 2000 and is our 3703rd best seller. The ISBN for Common Worship: Morning and Evening Prayer from the Book of Common Prayer is 9780715120309. Be the first to review Common Worship: Morning and Evening Prayer from the Book of Common Prayer! Got a question? No problem! Just click here to ask us about Common Worship: Morning and Evening Prayer from the Book of Common Prayer. Is this book available in a large print version?